After the successful reissue of Marillion's 1985 album Misplaced Childhood in 2017, Parlophone relased the British quintet's fourth studio album Clutching at Straws in November. Like its predecessor, the album was produced by Chris Kimsey and it delivered three top forty hits ('Incommunicado', 'Sugar Mice' and 'Warm Wet Circles'). Clutching At Straws would turn out to be Marillion's final studio release with original singer Fish. 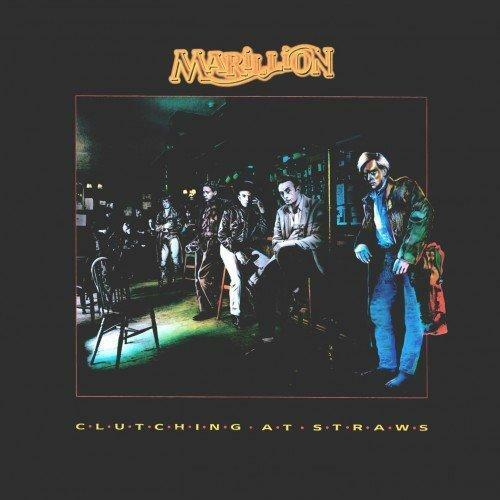 Clutching at Straws relased 4CD+blu-ray deluxe edition and a 5LP vinyl box set. Both include a new stereo remix by Andy Bradfield and Avril Mackintosh (Mackintosh was the original mixing engineer for producer Chris Kimsey in Advision studios back in 1987) and a concert recording of the band performing at the Edinburgh Playhouse in December '87. Some of these live performance have appeared before, on The Thieving Magpie live album, although it should be noted that this is a new mix for 2018 by Michael Hunter. Tessa Niles - backing vocals on "That Time of the Night" and "The Last Straw"
John Cavanaugh - "Dr. Finlay" voice on "Torch Song"